Summer Camp Registration: Play and learn outdoors at Audubon Zoo. 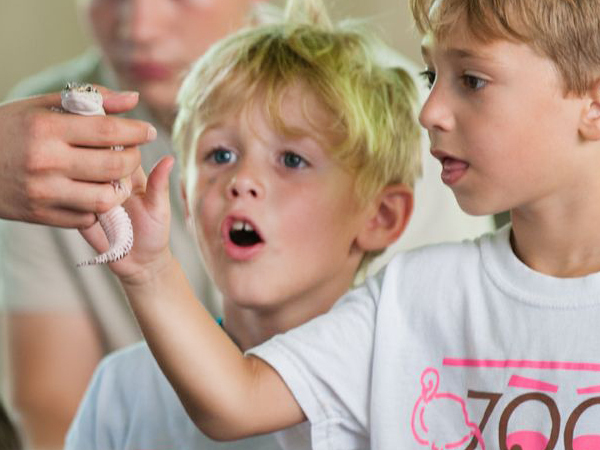 If your child is an Audubon Zoo expert, has a passion for animals, or just loves new experiences, then Audubon's Zoo Summer Camp is the perfect fit. Each week campers will get exclusive behind-the-scenes access to the internationally acclaimed Audubon Zoo. Along with great hands-on experiences, campers learn about their favorite animals and express their creative side with entertaining arts and crafts. To add to the fun, Cool Zoo Splash Park is now part of our weekly schedule! Audubon Nature Institute strives to accommodate all interested children. Please understand that our camps are very active, with multiple transitions and sensory changes throughout the day. All campers are expected to follow directions and safety rules. If you have specific concerns, please contact our camp director at 504-212-5357 to discuss your child’s needs. While we are a traditional camp (not specialized for specific special needs), we welcome all children and do our very best to accommodate every child. Please see our FAQ's for more information. Please note the extended age for our zoo campers for children. For children entering grades 6th - 8th, please see Zoo Explorers Camp. To register click on the name of the week or weeks you are interested in. That will take you to registrations online.